Is Your Workplace Safe from Bullies? You spend a lot of time and effort getting and keeping your Business running. But there are things that can threaten to stop you in your tracks. In this series, I highlight 3 of them and share tips to help you identify and prevent them from becoming dangerous to your Business. In this installment, I take a look at Workplace Bullies! First, it is important to recognize that Bullying does occur in the Workplace. And when it happens, it can have serious implications on both the victim and your company. Mental Problems ~ Loss of Self-esteem, motivation, and focus. All of this makes them a much less productive employee. Many of us understand the effect that bullying can have on an individual ~ even if that person is an adult. But when it occurs in the workplace, it not only impacts the victim, but it can cause problems for all your employees. 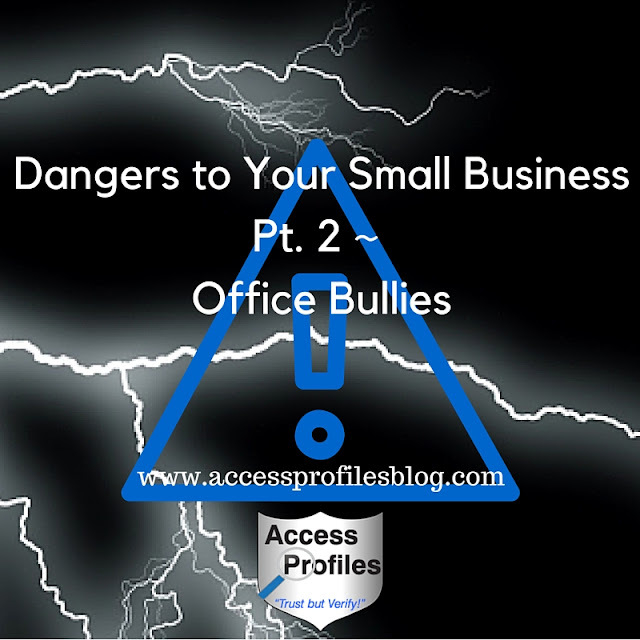 Office Bullying creates a stressful and mistrusting work environment. Not only will the victim feel that no one is in their corner, but your entire workforce can believe that you don’t care about their welfare. The result ~ you may lose valuable workers and have to spend time and money to replace them. Bullying can have an impact on your small business as a whole. The loss of productivity, increased absences, and work environment tension can all cost your company. You may not realize that the impact of bullying extends beyond the bully and the victim. It can impact your customers and clients, your other employees, and even their families. Your Productivity ~ Increased Absenteeism, Workers’ Loss of Focus, Goals and Projections not being met. Turning a blind eye to Office Bullying is never the answer. Instead, you need to be proactive. Putting sound practices in place to identify and deal with it makes sense. It will help you protect your Employees and Your Bottom Line! To find out more about Workplace Bullying and What You and Your Company can do, read “Adults Do it To ~ The Problem of Workplace Bullying”. Being aware of potential Dangers to Your Business is half the battle. Once you are able to recognize the signs, then you can do what is necessary to protect you and your company as much as possible. Discover more about the Dangers to Your Small Business in Part 1 of this series, “Employees Who Steal”! Please Pay it Forward and Share! 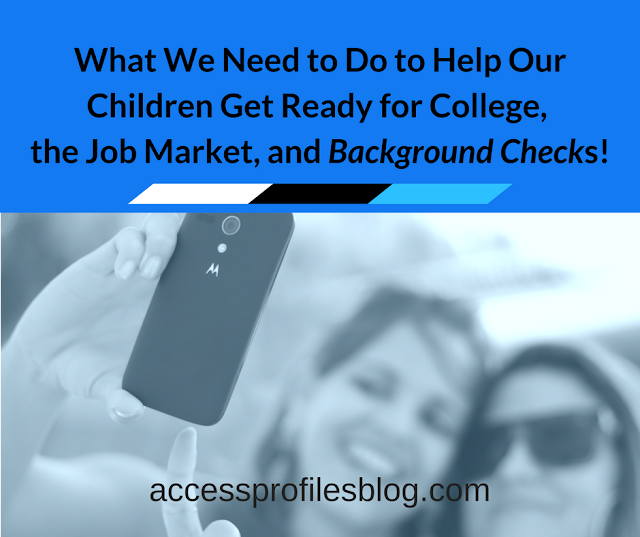 Leave a comment too ~ we would love to hear what you think! API can help you create a Safer and More Productive Environment for Your Business. 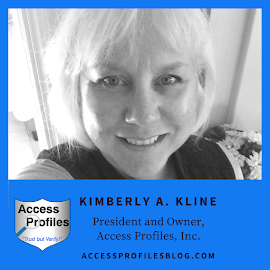 Learn more by visiting our About Us and our Background Check Investigation, Security Consulting, and Business Mentoring pages. Let’s Connect! Check out our Contact Page for links to all our social sites. Thanks! I had no idea this was such a big problem in the workplace. One thing to note is that sometimes the bullying can come from management which can make an employee feel even more isolated and compound the problem of having no where to turn. Thanks for the useful information! Great point Sheryl. When management is the problem, it can definitely make an employee feel even more helpless. That is why having sound policies in place that address even this issue makes sense. Employees need to believe they have somewhere to turn no matter who the bully is! Thanks for reading my article and sharing your thoughts. Much appreciated.